But all hope is not lost. 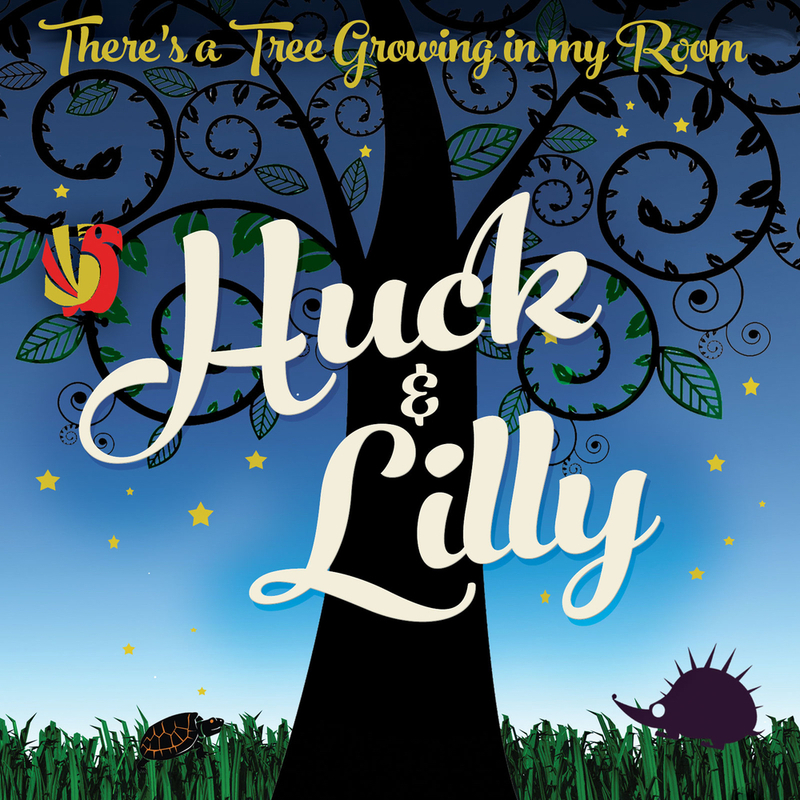 For parents of all ages, singing-songwriting duo Huck & Lilly are a welcome alternative to all that monotony. Husband-and-wife team Ken Johnson (Huck) and Andi Zack-Johnson (Lilly), who met as songwriters on Music Row in Nashville, have released a breath-of-fresh-air, full-length album entitled There’s a Tree Growing in My Room. Even more refreshing than a break from wheels on buses going around and around is the fact that Huck & Lilly is anything but the standard, formulaic children’s music you may have regretfully become accustomed to. The choruses are catchy, the melodies are infectious, and the lyrics are what you’d expect from songwriters who’ve been behind some of country music’s biggest hits. Don’t be surprised when you find yourself singing along—and not just to oblige your children, but because you enjoy the tunes. When not behind the scenes, you can find Ken and Andi on the small screen, as cast members on the hit reality show I Love Kellie Pickler, which airs on CMT. Debuting in November of 2015, the acclaimed Ryan Seacrest production attracted a surprising 2.5 million viewers with its first episode and is leading the way to more family-friendly content after the cancellation of CMT’s controversial franchise, Party Down South. The program offers a genuinely candid look into the distinctly wholesome life of country music icon Kellie Pickler and her husband, songwriter and producer Kyle Jacobs. In addition, viewers are also introduced to a colorful cast of characters, including the couple’s extended family and longtime friends Ken and Andi. The series was renewed for a third season, which will begin on August 3, proving that viewers do, in fact, love Kellie Pickler and the rest of the gang. Most significantly, Kellie and friends have created yet another bona fide hit by doing what they do best: being themselves and not taking themselves too seriously. 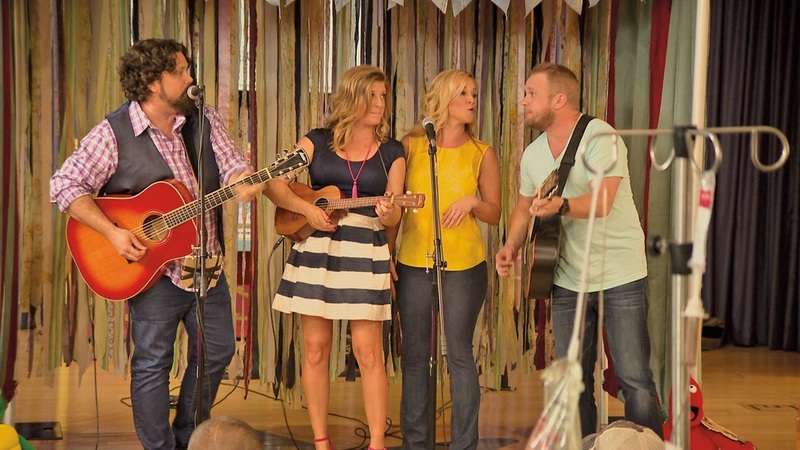 Ken Johnson, Andi Zack-Johnson, Kellie Pickler, and Kyle Jacobs perform at Vanderbilt Children’s Hospital during Season Two of I Love Kellie Pickler. Ken and Andi have also cornered the market on cool events in Northwest Florida with their business, Hit Songwriter House Concerts, which allows residents to invite top singer-songwriters from Nashville to perform at their homes along the coast. For everyone who can’t get enough of Kellie, it was recently announced that she would soon be hosting her own nationally syndicated talk show. The program aims to cover a broad range of topics from cooking, gardening, and entertaining to home design, beauty, and fashion. Faith Hill is the executive producer, and the show is set to air in September on daytime television networks including ABC, NBC, and CBS, depending on the viewer’s region. Not to be outdone, Ken and Andi have some side projects of their own in the works. One project that they’re especially proud of is teaming up with Ryan Seacrest to perform, as Huck & Lilly, in children’s hospitals around the country. Due in part to their extensive and impressive résumés, it wouldn’t be an understatement to proclaim Ken and Andi as two of the hardest working people in the industry. Though their previous accomplishments are too many to list in a short profile piece, it should, at the very least, be mentioned that Ken once penned three back-to-back number one songs on the Texas music charts, and Andi has produced and directed four music videos that have aired on Country Music Television (CMT). As I said, this is not your average music for kids—it’s also for the parents who love them! Huck & Lilly is the creation of folks who are behind the music of some of today’s most successful country music artists, and this is reflected in the quality of their innovative album, which was cowritten and produced by Grammy Award–winner Skidd Mills. In addition to creating music, appearing on television, and working on philanthropic endeavors, Ken has set about recruiting some of Nashville’s biggest hit songwriters for a venture that will offer clients a unique and intimate private home concert, complete with exceptional bartending and cuisine by Grayton Beach Catering. For more information, you can visit HitSongwriterHouseConcerts.com. Ken Johnson and Andi Zack-Johnson star on CMT’s I Love Kellie Pickler—when they’re not writing and performing children’s music as the duo Huck & Lilly. As if all of this wouldn’t keep the average person busy enough, Ken and Andi also find time to maintain their own blogs. Ken uses his blog (HillbillySupperClub.com) to share recipes that he prepares as the resident cook on I Love Kellie Pickler. Ken is fond of declaring that he’s not a chef—but he can cook. After browsing through the delectable recipes on his blog, one can’t help but wonder if he isn’t understating things a bit. With everything else he’s so good at, why wouldn’t he be moonlighting as a chef in some out-of-the-way diner? Kind of like a culinary Batman, perhaps? As for Andi, her blog (TheChampagneGarden.com) recounts the exploits of a green thumb extraordinaire, complete with advice and expert tips on gardening. She grew up on a fruit farm in British Columbia and, judging from the pictures compiled on her blog and the expansive garden seen in I Love Kellie Pickler, it seems as if she might have learned a thing or two. From writing hit songs to blogging; from cooking and gardening to raising the spirits of sick children; from filming hit television shows to performing for families in Seaside, Florida, Ken Johnson and Andi Zack-Johnson have created a legacy that will only continue to grow. From how they met to how far they’ve come; from the difference they are making in the lives of children facing adversity to the much-needed respite they offer parents with their original music, their story is the epitome of inspiration. To see kind-hearted, diligent people taking time out of their schedules to create art that will impact the lives of this generation and the next is the type of stuff that will restore your faith in humanity. Pickler’s new nationally syndicated daytime talk show will debut in September 2017 and aims to share feel-good stories with the world. Well, Kellie, you can rest assured knowing that your friends Ken and Andi are most definitely doing their part. 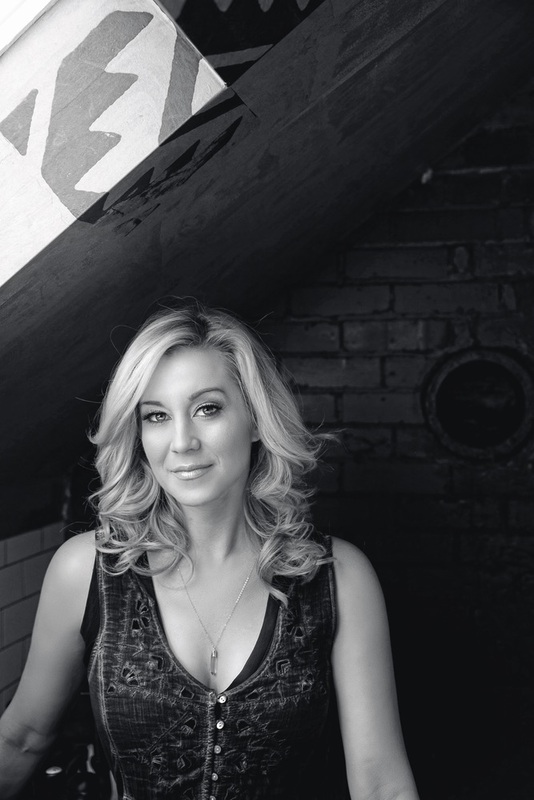 For dates to upcoming Huck & Lilly shows, inquiries about private concerts, links to episodes of I Love Kellie Pickler, or to purchase the album, visit www.HuckAndLilly.com.